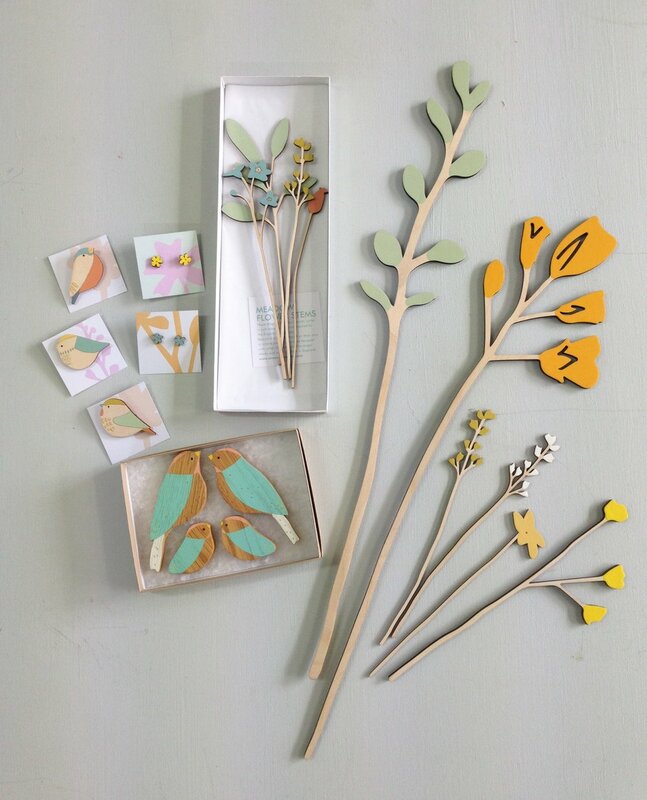 Inspired by the pretty songbirds of English gardens, my range of wooden bird brooches are lovingly hand-painted. The perfect gift for a lovely mum! Create your own unique bouquet with flowers from our whole range and bring together something special for Spring. 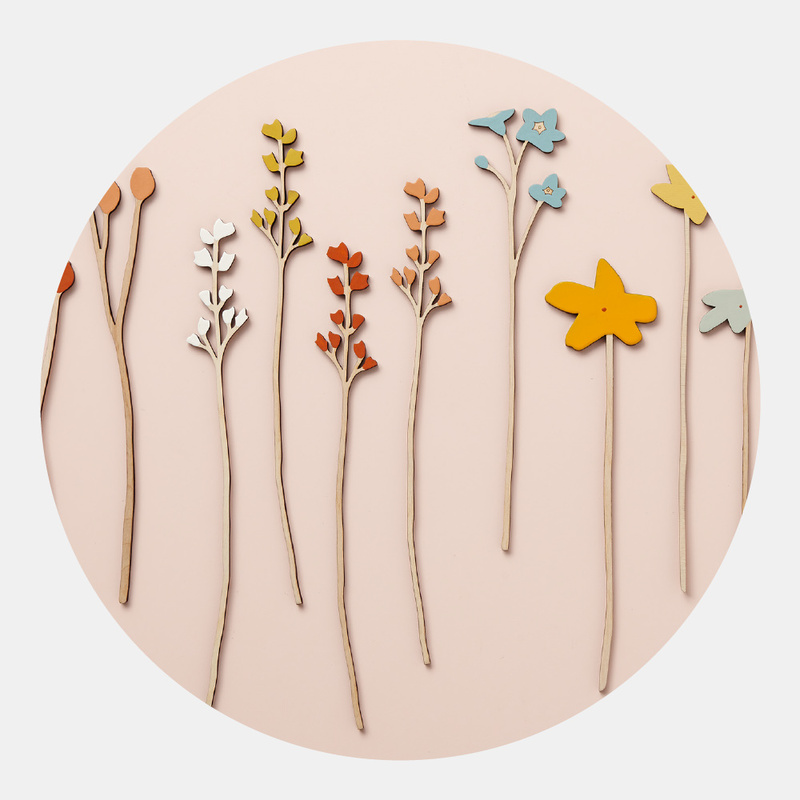 These elegant wooden blooms come in soft seasonal colours inspired by the English countryside. A thoughtful gift with a deeper meaning. Floral earrings in bright spring colours. Light, easy-to-wear, silver-plated stud backs mounted on pretty floral backing card. Stems of Sage, Forget-Me-Not, Flora and Rosehip make up this beautiful display of wooden blooms.Arrange them in your favourite vase for a lovely display of colour to start the new season. Sets are elegantly packaged ready to give as unique gifts. All our favourite British birds.